Description of "Dynastar Easy Networking - An Introduction to Networking Terminology"
Computer networking is a fascinating field that has interested many for quite a few years. The purpose of this brief book is to give a general, non-mathematical, introduction to the technology of networking terminologies. This includes definition and descriptions of many terms used in networking nowadays. This brief book can be used in college, for undergraduate and graduate networking courses in universities or by the individual information technology professional. In college it can be used as a part of computing subject. 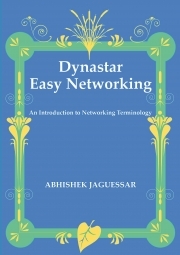 Reviews of "Dynastar Easy Networking - An Introduction to Networking Terminology"
I , the author first purchase the book. we've already got an order of 5000 books in IT Institutes.